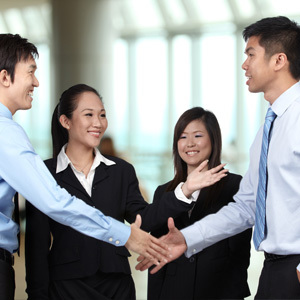 Singapore’s Ministry of Manpower’s Research and Statistics Department has recently released the “Report on Wages in Singapore, 2011,” detailing the main findings on wage changes, wage restructuring and occupational wages of over 200 jobs in Singapore in 2011. In gist, the report supplied that wages of workers in Singapore have increased year-on-year (y-o-y) between 2010 and 2011, and in spite of slower economic growth. In light of this as well as increased efforts to boost national productivity, Singapore Company Registration specialist Rikvin is confident that wages of workers in Singapore will continue to increase. In spite of the slower economic growth in 2011, the tight labor market continued to push workers’ wages upwards, especially in the private sector (6.1% increase in total wages in 2011, up from 5.7% increase in 2010). However, in light of the rise in living costs or consumer price index (CPI) in Singapore, the wage increase in real terms was 0.9% in 2011, vis-a-vis a 2.9% increase in 2010. Over the long term, real wage increases have been broadly in line with labor productivity growth. Between 2000 and 2011, real total wages (including employer CPF contributions) increased by 1.6% per annum while labor productivity grew by 1.7% annually. As of December 2011, 86% of employees in the private sector enjoyed a flexible wage system which included variable bonuses linked to Key Performance Indicators (KPIs), Monthly Variable Components (MVCs) or low maximum-minimum salary ratios. Organizations with over 200 employees superceded SMEs in offering at least one of the features of a flexible wage system. Only 79% of SMEs offered flexible wage structures, while 91% of larger organizations do. Managers remained the highest paid occupational group followed by professionals. As of June 2011, the former brings home an average monthly gross salary of S$6,630 while professionals take home an average of $4,632 per month. High value-added industries such as financial services and professional services were among the highest-paying industries across occupational groups. Hospitality, food services and construction industries paid the least. “In gist, the report tells us that while total wages have increased year-on-year, real wage changes still have not caught up with rising living costs. This especially hurts lower-wage earners or middle-income earners and families saddled with higher costs of living in Singapore. However, we are optimistic that firms that take advantage of the PIC Scheme will be able to move up the productivity chain and in turn redistribute wealth to their employees when they invest in their development, especially amid such a tight labor market,” said Mr. Satish Bakhda, Rikvin’s Head of Operations. In addition, the Singapore Government has recently accepted the National Wages Council (NWC)’s 2012/2013 recommendations for built-in wage increases, particularly for low-wage workers. “While this is a move in the right direction, we can do more to ensure better livelihoods for the core Singaporean workforce. The PIC Scheme sets the tone, and enables businesses to have their cake and eat it too. It is no secret that organizations ultimately benefit when employees are more empowered, engaged and happy. The onus then is on firms to take advantage of the resources available to them to move up the value chain. We encourage firms, especially small enterprises to do so by tapping the PIC Scheme. When this gains traction, wages of workers in Singapore will increase, and this is critical to improve the quality of life against the backdrop of Singapore’s tight labor market,” affirmed Mr. Bakhda.